Hillary Clinton twisted her ankle on Sunday night, causing her to miss several media appearances while on her book tour in England. Clinton, who is out promoting her book, What Happened, did not show up for several television appearances in London after her fall Sunday night. Clinton was exhausted due to the trip, the Daily Mail reports. 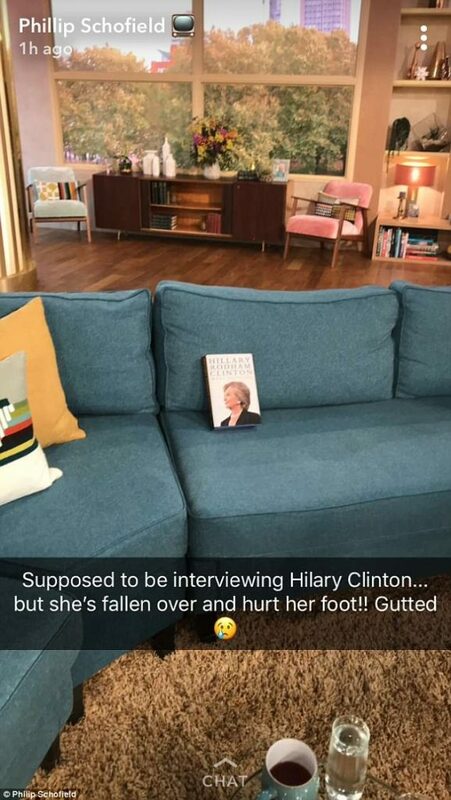 "Supposed to be interviewing Hillary Clinton… but she's fallen over and hurt her foot!! Gutted," "This Morning" host Philip Schofield said on Snapchat. "Women's Hour" host Jane Garvey took a picture of Clinton's book , What Happened, and tweeted "I'd read the book and everything. Apologies." However, Clinton's communications director, Nick Merrill, tweeted later that Clinton was on the "Graham Norton Show" joking about how she injured herself. Clinton appeared to be wearing a boot for her ankle. Clinton underwent an x-ray Monday afternoon to examine the extent of her injury before deciding whether to continue her tour. Back during the 2016 campaign, Clinton was also held up by health issues while traveling and adhering to a busy schedule. At that time, she fainted as she was about to get into an SUV after a Sept. 11 Memorial event in New York City. 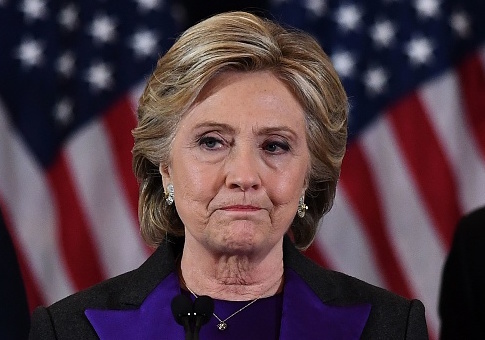 Questions and rumors about Clinton's health have gone around for years, especially after she suffered a concussion while she was secretary of state. This entry was posted in Politics and tagged Hillary Clinton. Bookmark the permalink.